Imam bayildi, an important and well know clasicall turkish food,meal. 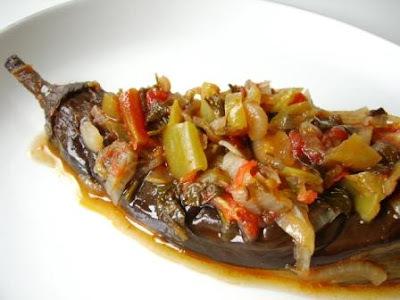 It is very popular in Turkey, and you must to taste this food in your lfie. in this post i will give you this recipes. Add parsley, chopped aubergine, tomatoes, green and red pepper, salt and black pepper and cook for 5 minutes then add lemon juice and sugar. Hello, this looks yummy ! I like to cook eggplant.